Capgrass are a band from Argentina that plays a raw from of black metal and this is a review of their self released 2014 ep "Reflections". A very dark drone sound starts off the ep and after the brief intro heavy and melodic guitar riffs kick in along with some high pitched black metal screams and the music sticks to mostly a mid paced direction while also speeding up after awhile and adding in a more raw sound along with some blast beats and powerful bass lines. After awhile the guitars add in a more atmospheric edge to the music while also remaining very heavy all at the same time which also leads up to a brief use of acoustic guitars and rain sounds before going into a more melodic direction and adding in solos and leads that gives the ep a more traditional metal feeling while on the last track they bring in a more melodic side of black metal. On the later tracks there is a good mixture of slow, mid paced and fast parts being utilized along with the vocals adding a more depressive edge to the screams and you can hear a bit of the early 90's black metal sound in the rawer and faster sections of there music and they also make every track sound different while also remaining true to a black metal sound from beginning to end of the recording and the last track also sees the return of acoustic guitars along with a small amount of melodic clean singing vocals. 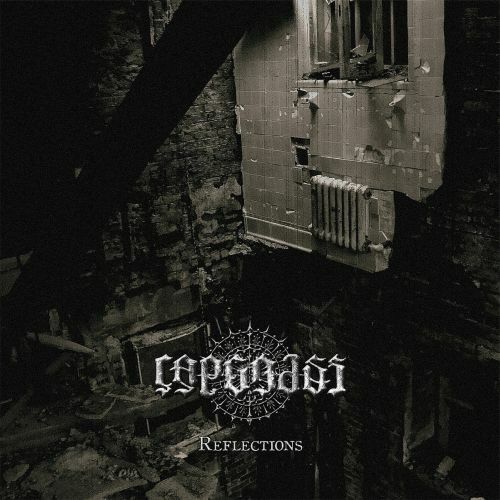 Capgrass creates a very raw style of black metal with their music which utilizes a great amount of aggression in the true old school style, the production has a very raw and heavy sound while the lyrics cover depressive themes. In my opinion Capgrass are a very great sounding raw black metal band and if you are a fan of this musical genre, you should check out this ep. RECOMMENDED TRACKS INCLUDE "Dead In The Crowd" and "Voice Of Perdition". 8 out of 10.